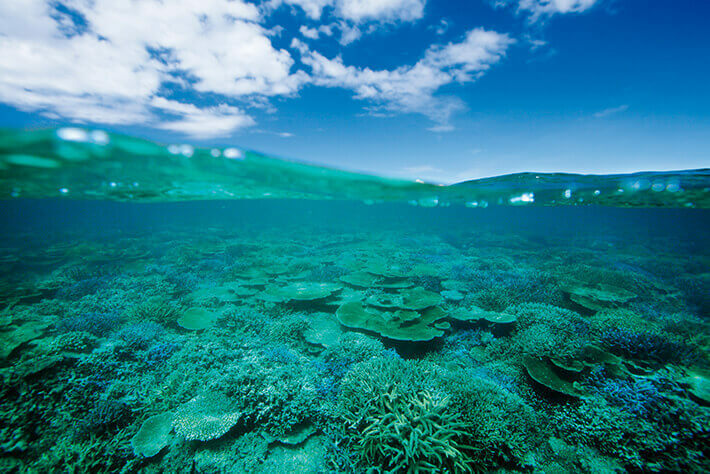 In the north of Iriomote Island, Hatoma Island, with a population of about 50 individuals, lies in the azure sea. 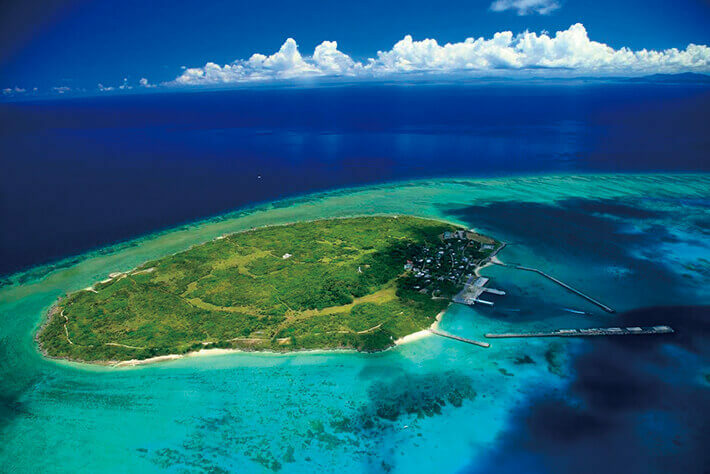 Located approximately 50 minutes by ferry from the Ishigaki Port Outlying Island Terminal is the island known as the birthplace of “Hatomabushi,” one of the well-known Yaeyama folk songs. What is being sung in “Hatomabushi” is the splendor of the scenery from the hills of Hatoma Forest found in the inlands of the island. 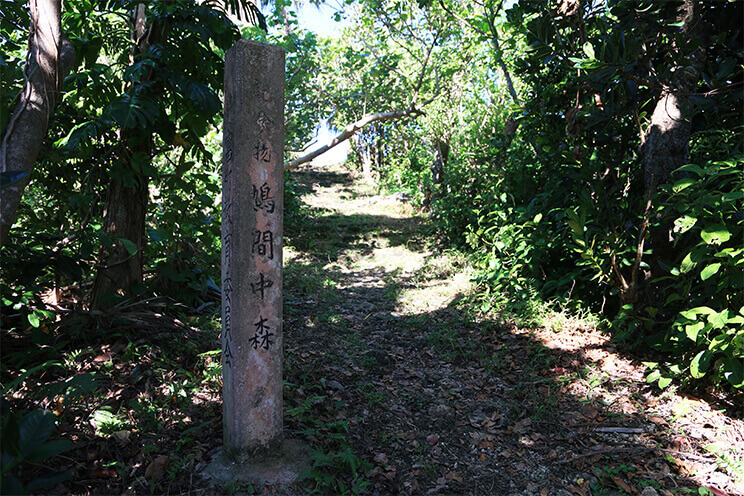 On the top of the hill is the restored Hibanmui, a structure that once stood there, and the Hatoma Lighthouse beside it overlooks the sea full of coral reef. While the island is known for being the place where the TV series, Ruri no Shima (Azure Island), was shot, it has yet to be developed for tourism, leaving the island with an unspoiled landscape. On top of the hills of Hatoma Forest, which is approximately 33.8 meters above sea level and located near the center of Hatoma Island, is the island’s best scenic spot at the highest point on the island. 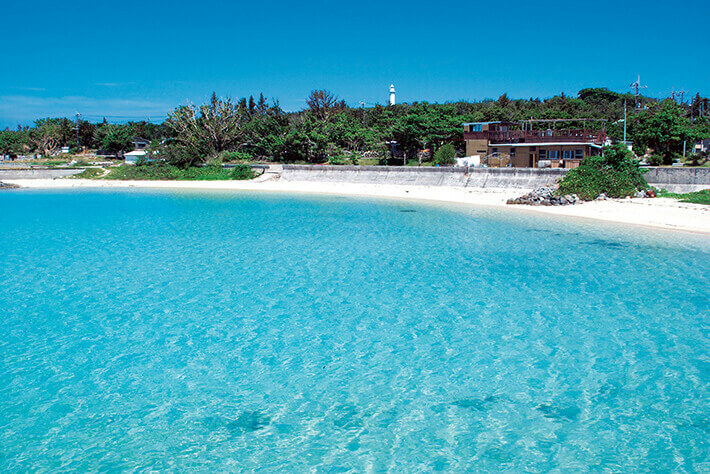 The beauty of the view is sung in a passage of folk song “Hatomabushi,” which represents the Yaeyama Islands, and is also a scenic spot that you would by all means want to visit during your trip to Hatoma Island. 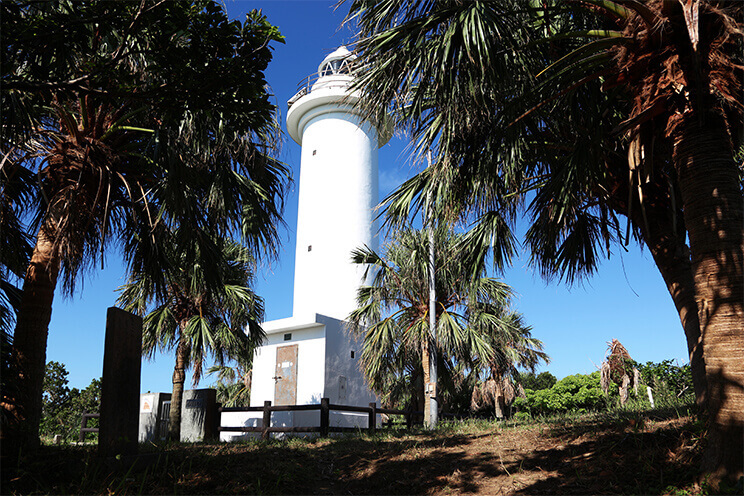 The white lighthouse that stands alone in the middle of Hatoma Forest, the Hatoma Island Lighthouse is built at the highest point on the island. In the immediate vicinity of the lighthouse is the Hibanmui. Hibanmui was constructed by the royal government of the Ryukyu Kingdom as a place to light a beacon fire for the safety of vessels traveling through the area. From Hibanmui, you can overlook Iriomote Island across the sea and the surrounding waters while enjoying the green contrast of the kuba trees covering Hatoma Forest. 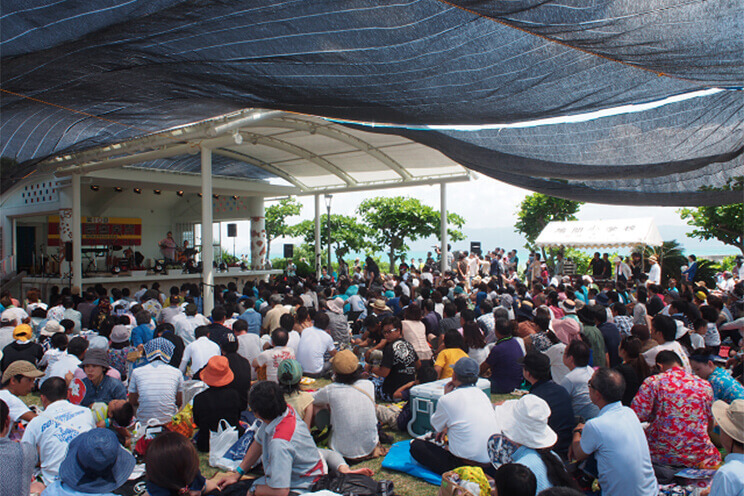 The Hatoma Island Music Festival takes place on May 3rd of each year, and many musicians and spectators visit the island from both inside and outside the prefecture. This is the only day on the quiet island where you can hear singing and the sounds of sanshin echoing across the island with a sense of passion. You would normally only hear the sound of waves and the rustling of trees. The music festival that began in the garden of a private residence has now evolved into the largest event on the island, drawing crowds of visitors to the island each year. Ferry to Ishigaki and high-speed boat (50 min.) or ferry (55 min.) to Hatoma.